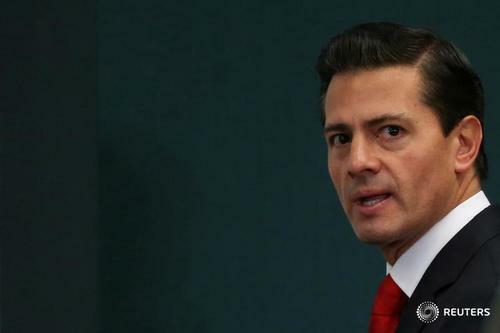 Mexican President Enrique Pena Nieto scrapped plans to meet Donald Trump next week after the U.S. president tweeted Mexico should cancel the meeting if it was not prepared to pay for his proposed border wall. "This morning we informed the White House that I will not attend the work meeting planned for next Tuesday with the POTUS," Pena Nieto said on Twitter, referring to Trump. "Mexico reiterates its willingness to work with the United States to reach accords that favor both nations." UPDATE: White House spokesman Spicer says U.S. is looking to reschedule meeting with Mexican president. Spicer said the U.S. will 'keep the lines of communication' open with Mexico. Some politically appointed officers accepted, some continue in foreign service in other roles, others to retire by choice. From conversations she has had with Trump, British Prime Minister May says he has shown his commitment to NATO. WASHINGTON, Jan 26 (Reuters) - At least three senior U.S. diplomats at the State Department have left their posts, State Department officials told Reuters on Thursday. It was not immediately clear whether their departure was part of the normal transition process when a new administration starts or whether it was a coordinated walkout by diplomats who had served in Democrat Barack Obama's administration. A week ago, Republican President Donald Trump's nominee for Secretary of State, former Exxon Mobil Corp chairman Rex Tillerson, was confirmed by the Senate foreign relations committee. He has yet to be confirmed by the full Senate. The departures will put more pressure on Tillerson to fill these senior posts. Among those whom Reuters has confirmed are leaving, are Gregory Starr, Assistant Secretary for State for Diplomatic Security, Michele Bond, Assistant Secretary for Consular Affairs and Tom Countryman, the acting undersecretary for arms control and international security. 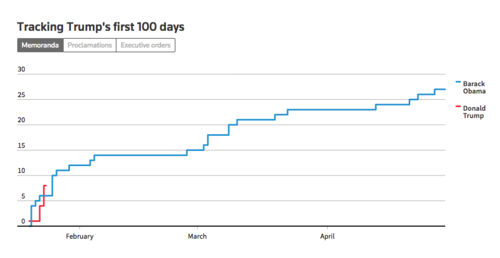 ReutersPresident Donald Trump began taking executive action shortly after being sworn into office to advance key priorities and reverse some policies of former President Barack Obama. MORE: White House says Trump is reviewing tax dollar expenditures at home and abroad, but says at this time there are no planned announcements on cuts to international institutions. UPDATE: White House says Trump will get assessment of full range of national security issues at Pentagon meeting Friday with joint chiefs and others. President Donald Trump's plans to investigate the possibility of voter fraud in the 2016 election could pave the way for tough voting rules including stringent ID requirements that Democrats and rights groups say would amount to a new assault on voting rights. ABC's interview with President Trump. Former U.S. military intelligence analyst Chelsea Manning on Thursday questioned Barack Obama's legacy after the former Democratic president commuted her sentence last week, and she called for "an unapologetic progressive leader" to fight for minorities' rights. "Can't wait for President Trump to call us FAKE NEWS," one anonymous National Park Service employee posted on @AltNatParkService. "You can take our official twitter, but you'll never take our free time!"
. @SenJohnMcCain: “The President can sign whatever executive orders he likes. But the law is the law. We are not bringing back torture." "I am deeply disturbed by today's news. We will not back down from our values that make us who we are as a city. We will fight for our residents, whether immigrant or not, and provide the best quality of life for all Bostonians. I will use all of my power within lawful means to protect all Boston residents -- even if that means using City Hall itself as a last resort." -- Boston Mayor Marty Walsh, in a statement released to the media following President Trump's executive order on "sanctuary cities." 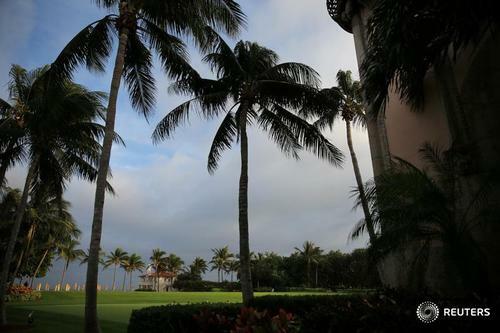 ReutersThe Mar-a-Lago private resort owned by the Trump Organization in Palm Beach, Florida, hiked its membership fees to $200,000 in January after Donald Trump was elected U.S. president, a resort official said. 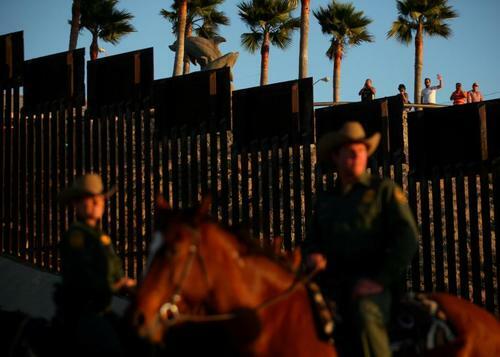 ReutersPresident Donald Trump on Wednesday signed directives to build a wall along the U.S. border with Mexico and crack down on U.S. cities that shield illegal immigrants, proceeding quickly on sweeping and divisive plans to curb immigration and boost national security. President Donald Trump says DHS and White House will begin immediate construction of a border wall. President Donald Trump says U.S. is in middle of a crisis on our southern border. Chiacgo Mayor Rahm Emanuel would like to see a partnership with federal government to combat guns and gangs "enhanced and strengthened." 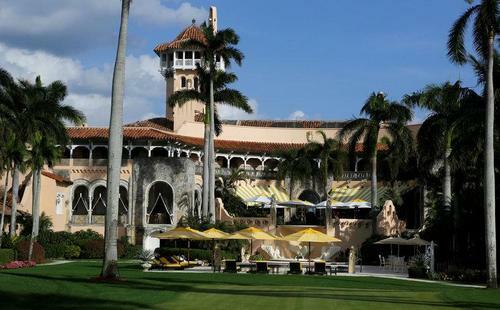 Mar-a-Lago, the Palm Beach resort owned by the Trump Organization, doubled its initiation fee to $200,000 following the election of Donald Trump as president, CNBC reported. White House says it hopes to get a discussion started with Chicago mayor to come up with plan. White House says Trump will work through Dreamers immigration issues in humane way. White House Press Secretary Sean Spicer says State Department will withhold visas and use other tools to ensure that countries accept back people in the U.S. illegally.